If you want a doc that goes into both sides of the argument you aren't going to get it here. This is BLM perspective. The tale of Brown has been told, but regardless of where you fall on it, this is still interesting but not mind-blowing. 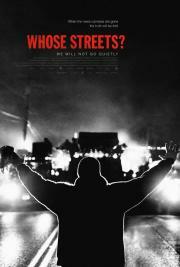 The footage is great, the detail that it puts into framing the protests is probably the best part. This sounds snotty but most people/media outlets don't really "get" protests. Even if the Brown death was a mess, this still brings up valid issues.